Doolhof Wine Estate lies between Bain’s Kloof and the Groenberg Mountain Range just outside Wellington in the Western Cape. 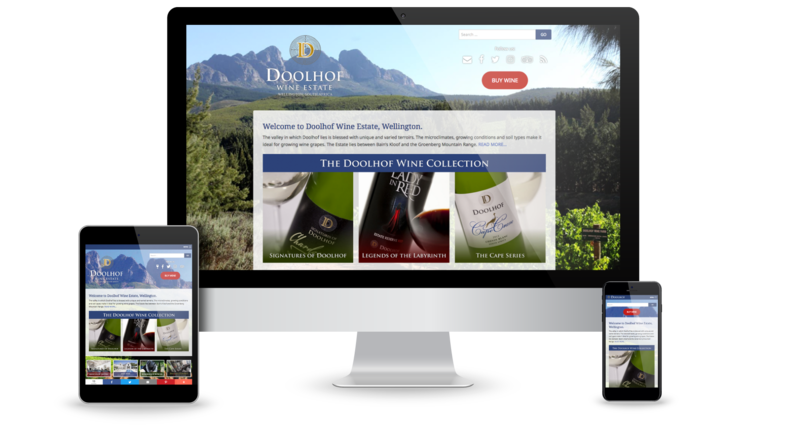 Doolhof needed to upgrade their website to be mobile friendly as well as to add a shopping cart for online wine sales. We gave their website a fresh new look, made it mobile friendly and setup a wine specific online store.